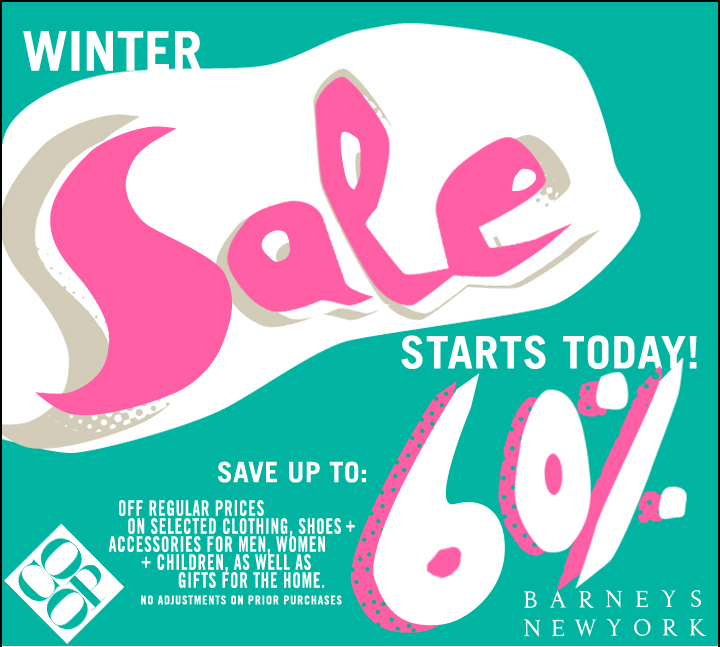 The Barneys Co-op Sale is ON! So Winter doesn’t officially start for another week but the chill and gloom of it are definitely here to stay in NYC and around most of the US. If you live in a warm climate where there is currently sun shining and lots of beach frolicking going on, I don’t want to hear from you. But if you are stuck in NYC at this time and are yearning for a place to warm up both your body and your soul, then shopping at Barneys CO-OP is just what you need! And with prices 60% off, you simply can’t go wrong. I wonder if that beautiful Lanvin trench coat is on sale too… Happy Holidays! This entry was posted on Thursday, December 16th, 2010 at 3:24 pm and is filed under The List.